Together with site stewards from the Forest Preserve District of Cook County, BYNC conducts on-going habitat restoration at the Skokie Lagoons. The Skokie Lagoons is a 550-acre network of forest, artificial lagoons, channels, and islands bordered by Willow and Dundee Roads, and the Edens Expressway and Forestway Drive. It’s a wonderful resource for picnicking, jogging, biking, bird-watching, canoeing, and fishing. Our work mainly involves removing invasive species such as buckthorn and garlic mustard to restore healthy woodland, savanna, and prairies habitats. Children and adults who are connected to the natural world can positively shape the future. This world and the open lands support us; they provide for and clean our water, provide flood control, storm protection, food, recreation, and clean air. Land conservation isn’t an amenity value; it is vital to our future. When And Where Can I Volunteer? Ongoing restoration at Skokie Lagoons in Winnetka, IL takes place every Second Saturday of the month. Contact skokielagoons@gmail.com to sign-up and volunteer. It’s an action project where I write about an issue, so it’s a project about invasive species. Buckthorn just keeps growing and growing and multiplies engagement in learning. 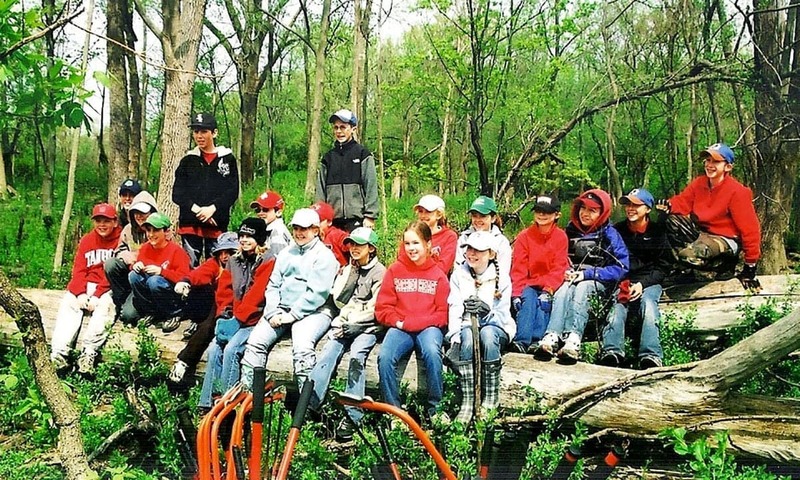 The site stewards of the Skokie Lagoons are certified volunteers working with the Forest Preserves of Cook County (FPCC). They are responsible for organizing and scheduling volunteer workdays, ensuring for the safety of volunteers, providing the proper tools and workday training, as well as taking proper precautions for controlled brush burning, when conditions allow for it. Check out our available Volunteer Opportunities to see how you can get involved with habitat restoration locally!